As if suffering her second consecutive loss against Valentina Shevchenko at UFC on FOX 20 this past July (see it here) wasn’t bad enough, Holly Holm’s situation took a turn for the worse when she injured her thumb during the fight. After undergoing surgery, Holm had to then deal with constant criticism for taking a fight against Shevchenko instead of holding out for a potential big-money rematch against Ronda Rousey. 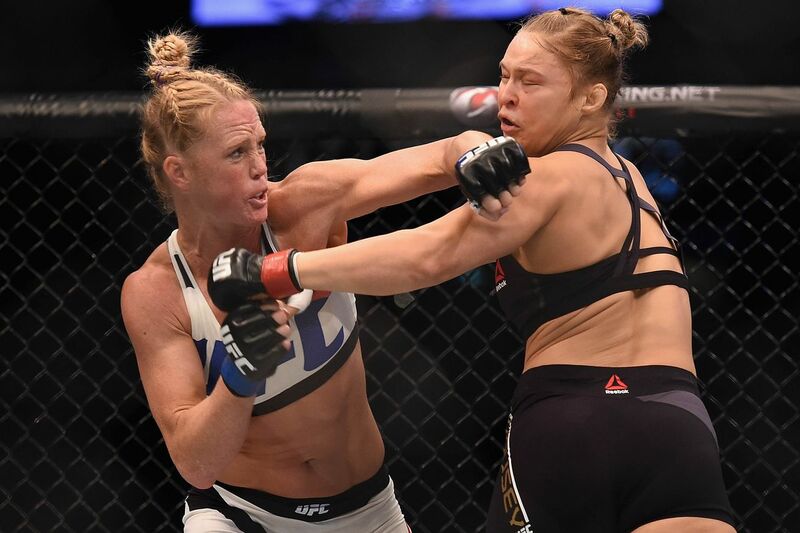 But, unlike what many of today’s top stars prefer to do, Holm isn’t about trying to pick a fight that gets her the most cash, she just wants to tango with whoever is ready to throw down. Because, at the end of the day, face-punching is her passion. “It is annoying because a lot of people that do that [criticize], I don’t think they ever listen to all these other articles or interviews that come out from me,” she said on ‘The MMA Hour.’ “like to fight, I don’t know why people think I’m taking fights for money — it drives me crazy. I wanted to fight because I wanted to get in there and fight and it has nothing to do with me waiting for this money fight or that money fight. That is not why I fight.